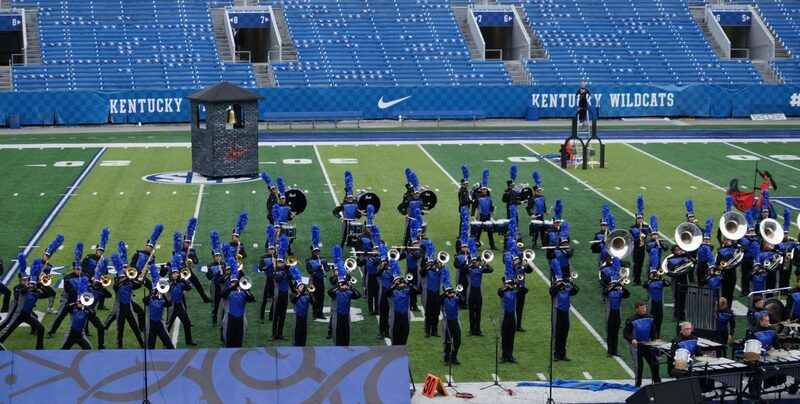 Marching Band parents, First I want to say thank you to Tim Newton for handling the extra truck for me this weekend in my absence and to everyone that came out this weekend for an exciting day in Dayton this past Saturday. Mr. Kite and Mr. Bayerle said everything couldn’t have gone any better and everyone did an excellent job and got it done. This weekend is the Tates Creek competition and the schedule for this week is as follows. Thursday evening for pack the parking lot I need anyone that can to be at the trailer to set up the scaffolding and sort panels. If possible be at the school around 5:30. Saturday morning I will need parents to be at the trailer around 7:30 to help get equipment down to the stadium for rehearsal that morning. Then we will meet back at the school around 10:00 to start loading the box truck.